Blow out the candles: It’s Birchbox’s eighth birthday! 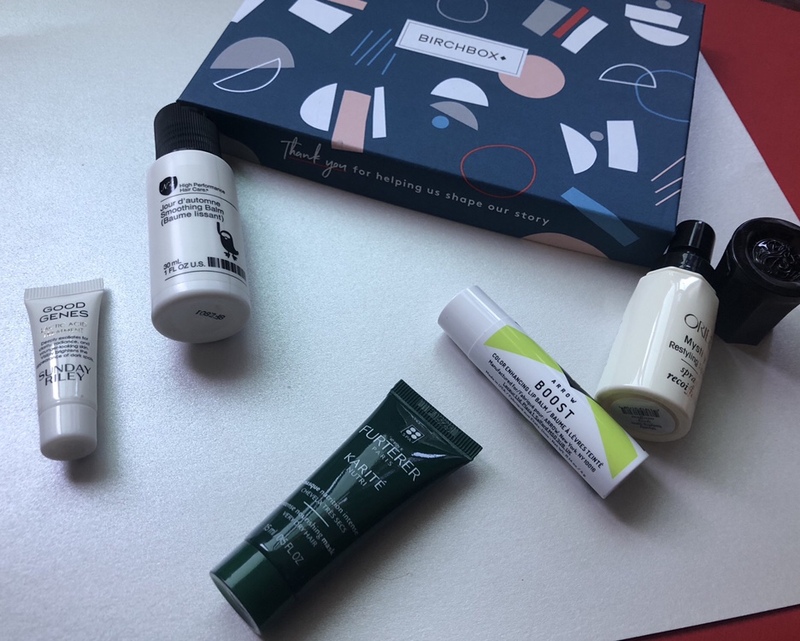 Like the generous company that they are, Birchbox is celebrating its eight years in the beauty subscription business with its valued customers! On this month’s product card, it explained all the ways their customers have helped them grow into the 1-million wide empire they are. This month, it seemed as if my curated choices were primarily focused on haircare. 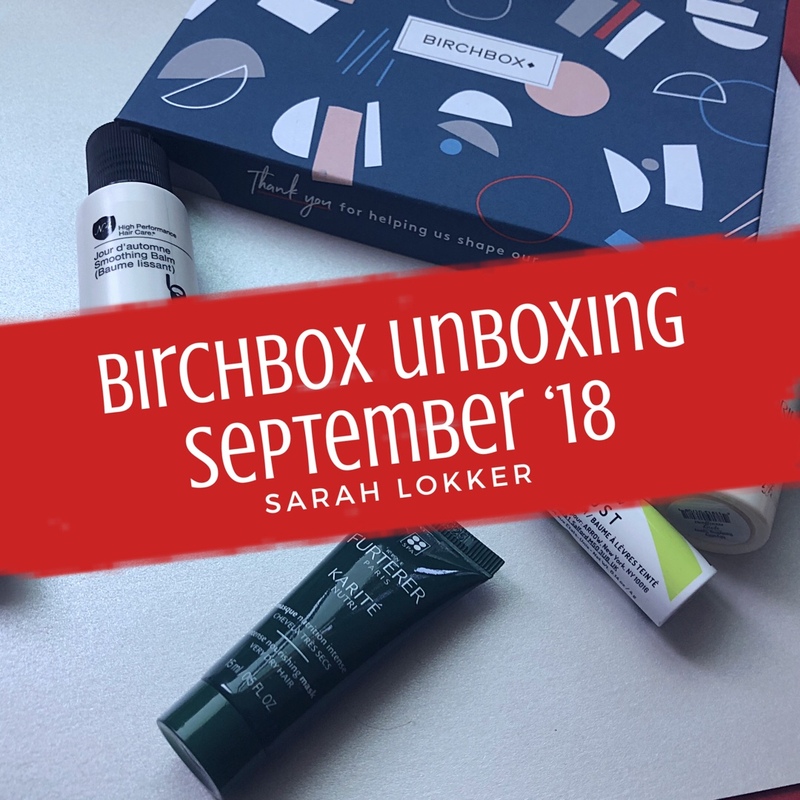 Birchboxes of the past would have been spent with me complaining and griping about the excess amount of products, but, I have been receiving a ton of compliments on my hair recently. (Side note: I haven’t been to see my hairdresser since pre-Europe and don’t intend on going until the week before GenBeauty!) Instead of bellyaching, it’s time to start embracing it and discover some new faves. Normally when I think of an exfoliating treatment, I don’t think of a treatment that’s intended to be left on my face. This lactic acid treatment by Sunday Riley is a miracle in a bottle: It brightens, smooths and plumps all while evening out skin tone. As someone who suffers from blackhead galore on my nose, chin and cheeks, this seemed like a product I could absolutely envision in my skincare routine, but that $105 price tag is really hard to picture. Since I’m naughty and pick at my skin (I know, I know), I had two recently popped pimples with open pores when I tested this product. I noticed a slight stinging sensation on those two areas, but took it as the product really working at dissolving those dead cells. There wasn’t any irritation elsewhere, so I didn’t take off any extra points for the discomfort. Sunday Riley products are either a hit or miss when it comes to their scent. (If you recall the Martian Mattifying gel-toner, you’ll know exactly what I mean!) Not going to lie, this one is ROUGH. The licorice in it is super potent and is enough to take your breath away, but if it works, I could get used to it 🤷🏼‍♀️. Quite like the lactic-acid treatment, I was taken back when I saw this hair mask had a little somethin’ extra in it. By that, I mean particles of what looked like almond/apricot/some sort of exfoliant? Made out of pure shea butter and essential fatty acids, this mask helps combat frizziness and enhances shine. This mask is designed for very dry and damaged hair (AKA me, because it’s been a hot minute since I’ve seen my stylist). Immediately upon rinsing the mask out, I noticed that my hair felt much softer and more manageable. 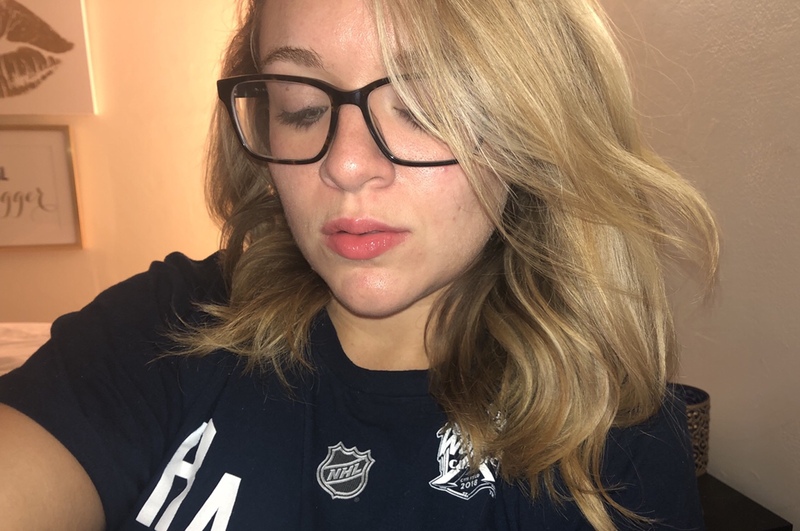 Once it dried and was styled, I also noticed that my split ends weren’t as frazzled and frayed. By no means were they healed, but they were less noticeable. It has a very unique smell, but it’s certainly not the worst thing I’ve ever put on my head. Its scent reminds me a lot of when you first walk into a Spencer’s, like that iconic incense smell. For what it did, it didn’t wow me so I don’t think I’d go out of my way to repurchase. I have been a lifelong user of Chapstick’s Candy Cane lip balm, specifically. So much in fact, I stockpile them post-Christmas clearance time so I’m stacked all year long! This exclusive lip balm from Birchbox is color-enhancing, using your body’s chemistry and pH levels to develop into a pretty pink shade that’s unique to everyone. The mango seed butter helps hydrate and protect your pout from environmental stressors. I’ve tested ARROW products in the past and have found some that I like, so I was a little more inclined to stray away from Candy Cane Lane. The reason I love Chapstick so much is because the product seeps into the lips more quickly and doesn’t leave my lips feeling slick, which makes me more apt to bite them. Most balms are waxy and don’t absorb, and unfortunately, this one was much of the same as my past experiences. 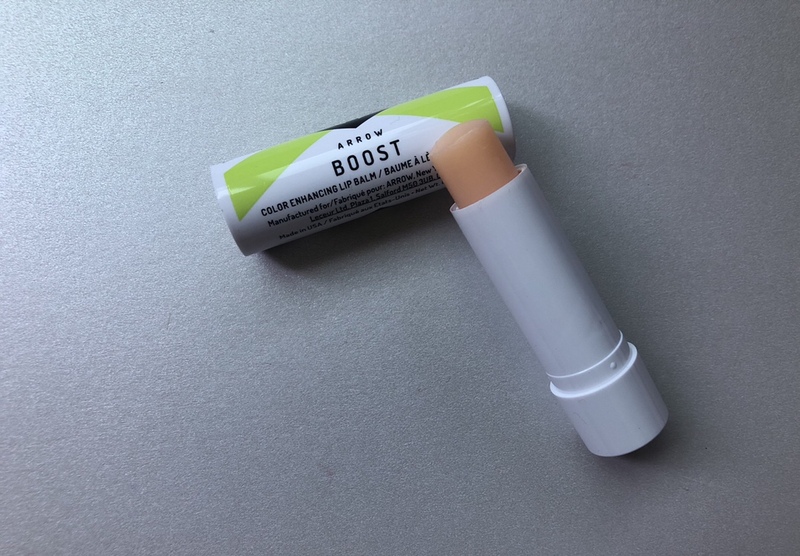 The buildable color this lip balm develops and into is perfect for a grab-and-go look, so it might be worth sticking in my gym bag for those days I have to run errands post-sweat sesh and want to look more put together. It’s been a minute since Birchbox has sent me a Number 4 product to test out. In fact, I had to do some detailed research to find the last time we received one, which was before the YouTube channel was born! This is a smoothing balm that acts like an impromptu hair mask (what?! ): It gives hair a helping hand by battling frizz while also promoting shine and silkiness. It also acts as a heat protectant and a protectant against humidity, so rest assured for those rushed mornings when your hair takes a backseat for some extra ZZZ’s. 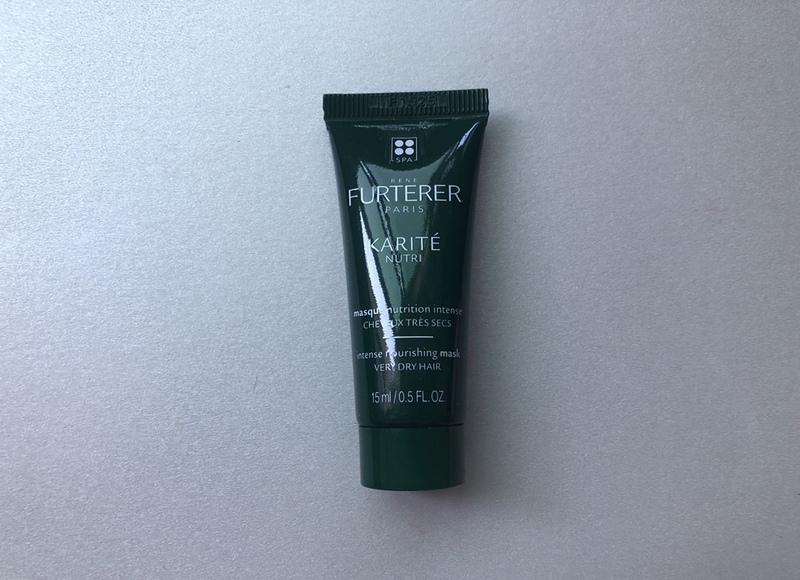 I love the smell of this balm as it’s light and airy, though the consistency is thick and truthfully a little difficult to work through the hair. I guess for all of what it does, it’s suppose to pack a punch. I didn’t much of a difference or was really wowed by the results, so it won’t be replacing any favorites. We’re all about #LazyGirlBeauty on this site, so the more miracle products I can find to extend the lives between my washes, the better! 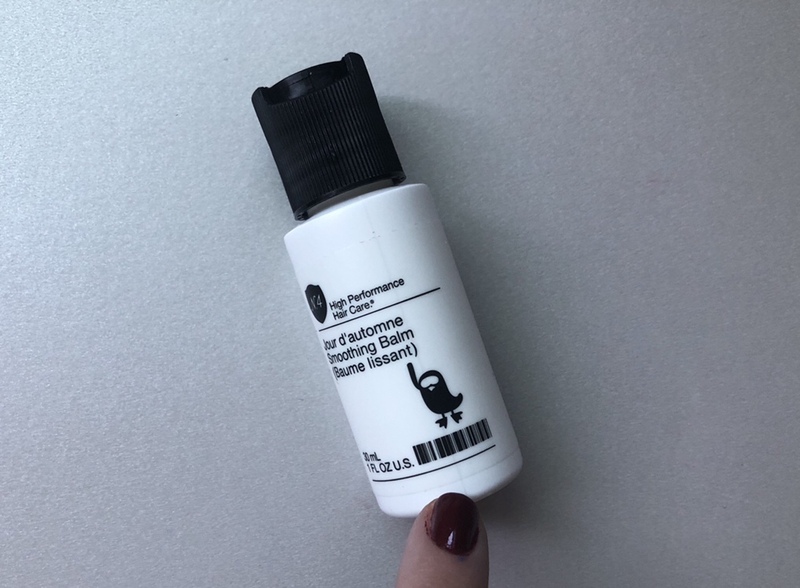 This innovative spray reactivates the styling products previously used in your hair to help hydrate, nourish and strengthen them, essentially working overtime and allowing you to get the most out of your products. As someone who is notorious for holding out on washing my hair in case of a great fourth-day hair day, this product is CLUTCH. It smells fantastic, so not only does it help restyle your hair, it also helps refresh your hair! My hair felt much more softer, manageable and overall looked as if I spent a good chunk of the morning fussing over it. Oribe has been one of my new favorite haircare brands, but once again, the price point makes me want to cringe. 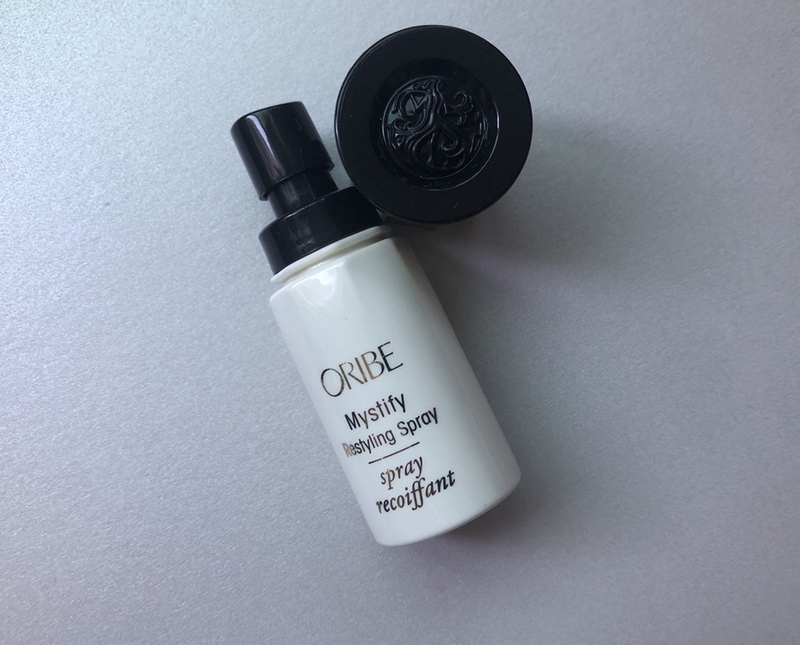 Out of all of the Oribe products I’ve tested, this would be the one I’m most likely to use on a consistent basis, so maybe it’s time to bite the bullet and invest. 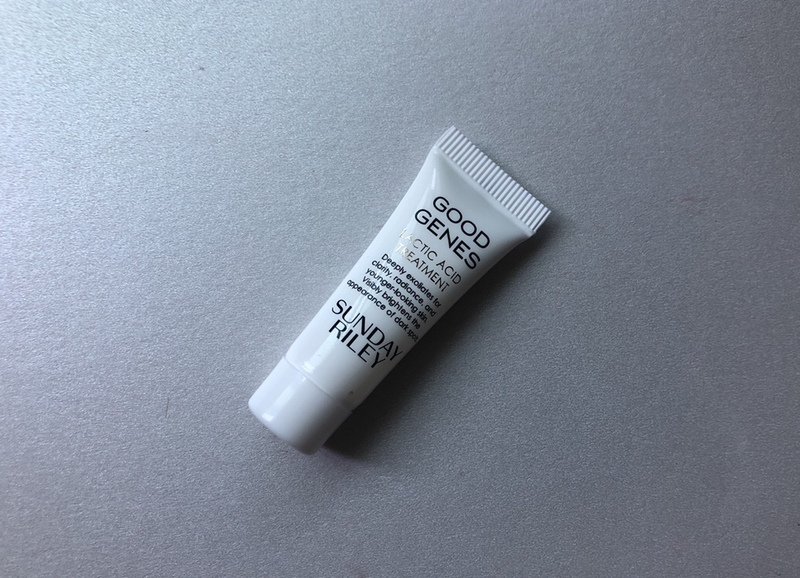 This entry was posted in beauty subscriptions, makeup and tagged #blogger, arrow, bbloggers, beauty blog, beauty blogger, beauty junkie, birchbox, birchbox unboxing, blog chat, blogger girl, blogger life, blogger lovin, blogger style, bloggers, blogging, blogging gals, blogging tips, Blush Hour, BOOST Color Enhancing Lip Balm, fashion blog, fbloggers, good genes all-in-one lactic acid treatment, hair, haircare, haul, Jour d'automne Smoothing Balm, KARITE NUTRI Intense Nourishing Mask, life with sarah, lifestyle blog, makeup addict, makeup blogger, makeup collection, makeup dolls, makeup haul, makeup look, makeup love, makeup lover, makeup talk, Mystify Restyling Spray, number 4, on the blog, Oribe, Rene Furterer, sarah lokker, sarahhlokk, savvy blogging, Skin, skincare, Sunday Riley. Bookmark the permalink.